What does it take to overturn a miscarriage of justice in the UK? The old case of Tony Stock shows up much that continues to be wrong in the criminal justice system. For victims of wrongful conviction today, quality representation is increasingly hard to obtain. (See also Stubborn justice: the astonishing case of Tony Stock). I get on average about one enquiry a week from prisoners and ex-prisoners who want me to help them to clear their names and to represent them. I have had to turn away a large number who probably have a good case, but resources just aren’t available. The first miscarriage case I took, in the early 1990s, was the case of Tony Stock, who was convicted of the 1970 violent robbery of a Tesco supermarket manager in Leeds. Tony was in some ways an ordinary man but he was also exceptional. He was small in stature, but big in dogged determination and although no angel he was one of the most genuine clients I have represented over the years. From the beginning, I knew that he was never going to give up and he encouraged me to keep going, throughout the 20 or so years that I worked on his case. During that time, we managed to get his case to the Court of Appeal on three separate occasions and I know that he was absolutely determined right to the end to clear his name. Anyone who has ever suffered an injustice, however minor it might be, knows the importance of trying to get it put right, and trying to put the record straight. Sadly, Tony knew that time was running out for him and he wanted above all else, to achieve justice before he died. He didn’t achieve this, but his fight for justice must and will continue. 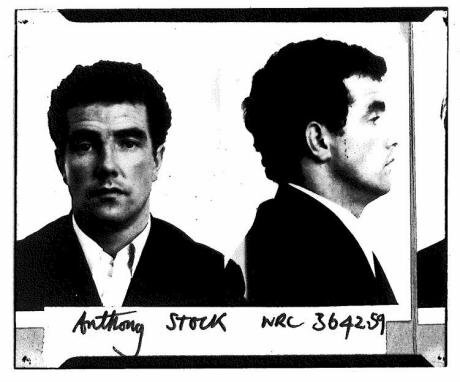 Tony Stock’s case symbolises a great deal of what continues to be wrong with our criminal justice system. He could not possibly have been involved in the robbery that took place in Leeds, back in January 1970. I think I can guarantee that if I explained in an objective and unbiased way and in a few sentences, the bare facts of Tony’s case to a randomly, selected jury the decision that they would unanimously reach would be that Tony Stock was innocent, and he was not involved in the armed robbery at the Tesco store. There’s the simple but compelling fact that a supergrass whose evidence had been relied on to put away all the other gang members for 20+ year sentences, and was prepared to give evidence under oath and put his life at risk at the Court of Appeal and say “I did it, Tony Stock didn’t, he wasn’t there and none of us knew him.” In our system, it doesn’t get much better than when someone says “I did it, he didn’t”. I have spoken to three of the notorious Thursday gang members at length. All three confirmed to me separately and independently that Tony Stock was not there when they robbed the Tesco store in Leeds. To say they were all “honest men” may be stretching things a little, but I had no reason to doubt or question that what they said was true. Why would they lie? They all confirmed that they were there and Tony wasn’t. I was happy to pass this evidence onto the Court of Appeal, but the Court, refused to accept it. The question is: why has the Court of Appeal turned the case down on four separate occasions? Sadly, the answer goes to the very heart of the problem with miscarriage of justice cases — that is the Court of Appeal's lack of willingness to engage with (or even recognise) the problem and its often intransigent, often arrogant and dare I say obdurate view that it knows best and is constrained by its own previous decisions, however wrong they may have been. This is coupled of course with an awareness that it is almost impossible for it to be challenged when it gets a case as wrong as it has done with Tony Stock. The Criminal Cases Review Commission (CCRC), set up in 1997 after public confidence in the justice system was shaken by a series of miscarriages — the Birmingham Six, the Guildford Four, the Cardiff Three, Judith Ward — has done heroic work with the case of Tony Stock. The Commission completely demolished the original case against Tony and referred Tony’s conviction to the Court of Appeal, not once, but for an historic second time. 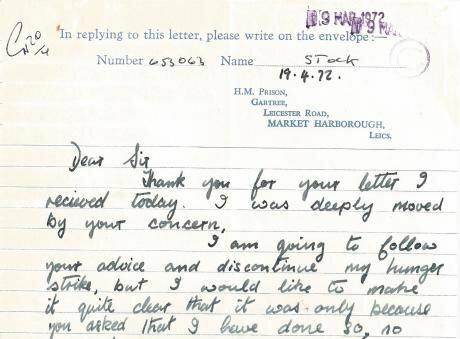 Still, I remain one of the CCRC’s harshest critics and for very good reason. The CCRC has by and large not lived up to its promise and has not achieved what it could and should have achieved. There are various reasons for this: money, lack of will, fear of the Court of Appeal. When the CCRC was established, many Parliamentarians thought that the problem of miscarriages of justice had been solved in this country. It clearly hasn’t, and it isn’t. By the time a case gets to the CCRC it is too late. The human damage has been done. The person concerned has been sent to prison for something he or she didn’t do and they and their families will probably never recover from the experience. I have clients, who have proved that they were wrongfully convicted, but their lives are irreparably damaged and there is nothing else that they can do, other than to suffer the continued pain that flows from that original injustice, for the rest of their lives. Victims of injustice expect the criminal justice system to deliver the right result and are shocked when they are convicted of something they have not done. Society seems indifferent to their plight. The vast majority of the population never experience the working of the criminal justice system, whereas there is outrage whenever the NHS gets something wrong. The attitude seems to be that the criminal justice system is only for criminals, who don’t deserve the best because they are already outside the community. There is a blind faith in the criminal justice system and nobody expects innocent people, in this country at least, to be jailed. What we should be trying harder to do in this country, is not only to repair or rectify the damage when it has been done, but to prevent it happening in the first place. One preventable miscarriage of justice, is one too many. The very fact that the CCRC gets more than 1000 applications per year is a national disgrace and something that politicians, the public, and anyone who is interested in the rule of law and the legitimacy and integrity of our criminal justice system, should be concerned about. It seems to me that we need an urgent debate about why we continue to get wrongful conviction after wrongful conviction and what we can, should and must do to prevent these occurring with such regularity. It is very easy to be convicted of something you didn’t do, but it is almost impossible to prove, when you’ve been convicted, that you were not guilty. Twenty five years ago this month, the convictions of the Guildford Four were quashed by the Court of Appeal. I don’t think I need to say that the Court did not cover itself in glory with that or other similar cases, indeed the opposite is the case. The Guildford Four were convicted four years after Tony, and despite all the rhetoric and the assurances that things have changed for the better, the case of Tony Stock, to my mind, shows that the Court of Appeal remains at the centre of the problem of wrongful convictions in this country. The Criminal Cases Review Commission is very much an underdog, it is frightened and nervous of the Court of Appeal, and is unable to respond if it receives a stern ticking off, even when, as with Tony Stock’s case, it is convinced beyond all reasonable doubt that a clear injustice has occurred. This should be urgently addressed by all those who have an interest in the criminal justice system in this country and in ensuring that justice prevails above all else. Parliamentarians should urgently take this up, and I suggest give the CCRC the power to ask the Supreme Court to look at any case where it thinks the Court of Appeal is wrong. Liberty and other groups lobbied for this when the CCRC was established and it would go some way to redress the unequal balance of power between the CCRC and the Court of Appeal. For a number of years I have worked with Emily Bolton of Reprieve towards establishing the Centre for Criminal Appeals (CCA). A not for profit criminal justice initiative, its intention is to attempt to fill the justice gap left as a result of the continuing intention of the Government to demolish and dismantle the Legal Aid system, which has been in place since late 1940s. Research by Warwick University has clearly established that victims of a miscarriage of justice who are able to obtain representation stand a much higher chance not only of getting their case referred, but in being successful with the Court of Appeal. Despite this, at least a third of those who claim they have suffered a miscarriage of justice, are unable to find anyone to represent them. The founders of the CCA are aware that very few criminal solicitors are prepared to undertake criminal appeal work. This is partly due to funding and partly due to a lack of expertise and specialist knowledge of the appeal system. Furthermore, the CCA has been established to undertake a detailed investigation of those cases that it selects and have merit, utilising advanced techniques and working in a multi-disciplinary way. Cases will be looked at in forensic detail and no stone will be left unturned in trying to establish and obtain fresh evidence sufficient to enable the CCRC to refer the case to the Court of Appeal, on the basis of the detailed submissions that are made. The CCA’s first Director is Sophie Walker. At the present time, the CCA is dealing with a significant number of cases which have been referred to it and is looking for long term sustainable funding. 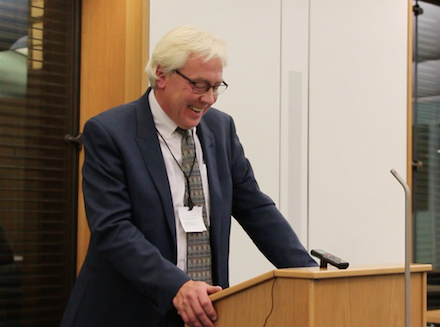 Adapted from Glyn Maddocks’s speech at the launch of The first miscarriage of justice: the amazing and unreported case of Tony Stock, (by Jon Robins, Waterside Press), at Portcullis House, Westminster, 20 October 2014.